The Most Favorite Time of the Year - Creating Awesomenessity! This post contains some affiliate links because I have a few shopping habits. Any opinions expressed are my own and for something that I think is kinda awesome. My super talented friend Kylie over at Made By A Princess hosts a Favorite Things party every year and last year, my cookies got to be a part of the Under the Tuscan Sun celebration. One year, I’m gonna get there in person for sure! The Dating Divas one of my favorite groups! They are all about strengthening marital and friend relationships and have some pretty sweet ideas for doing both! 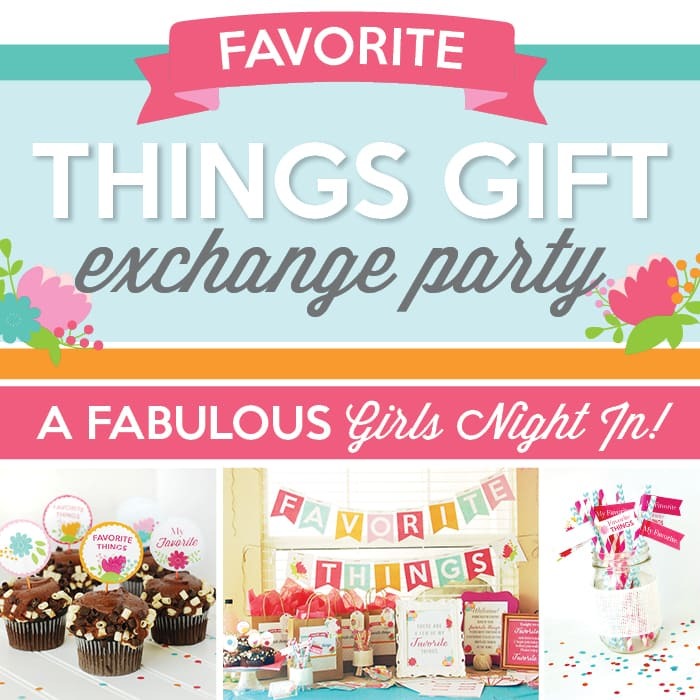 Right now they have a deal on a Favorite Things gift exchange party pack! Host’s Guide to help you plan all the details. Invitations to not only tell your guests about the event, but explain what it is. Party Decor including food table decor, framed printables and even a banner! Ice Breaker Games to add a little more fun to the evening. Gift Exchange Printables to make the main event run smoothly. Party Favors to send your guests home with something special from you. Gift Exchange Ideas to inspire the three items you bring to the party. We just hosted a surprise version of it for my hubby’s 35th 🙂 Overflowing with his favorite people and favorite foods, it was a blast to plan! I can’t wait to share his Favorite Things party with you…this picture was the moment that he walked into the brewery and realized that the whole thing was for him! It was awesome! So head over to the Dating Divas and get your hands on the starter pack to throw a shindig for you and your friends! We’re All Going Back to School!